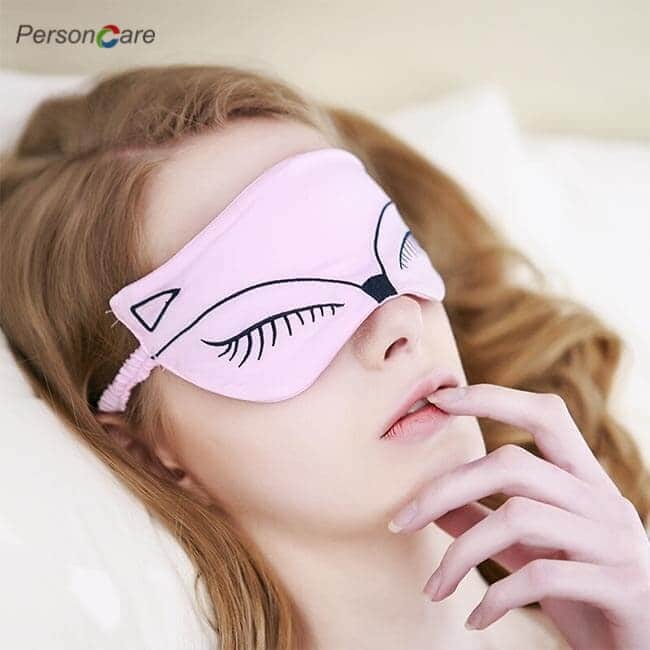 PersonCare's have been committed to providing a high-quality sleep for our customers, This sleep mask can relieve your pressure, improve insomnia, migraine, and give you the best sleep environment.Durable adjustable strap, providing suitable fits. 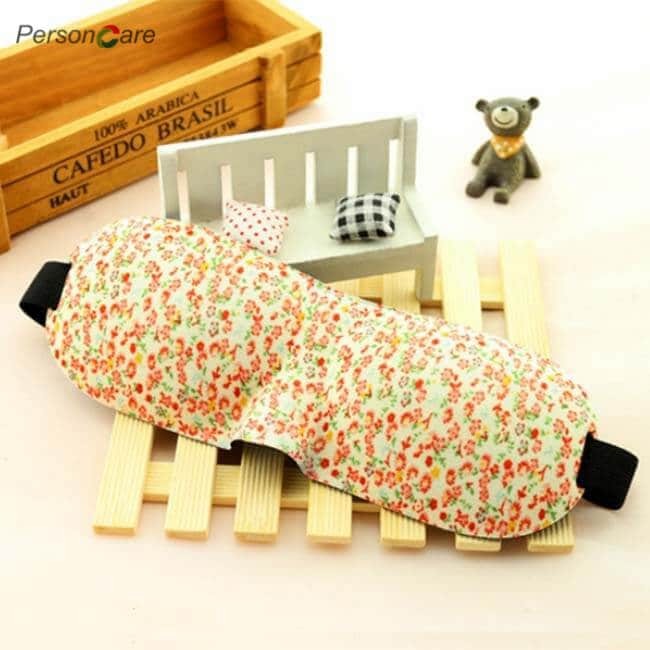 Relax in any time, ideal for naps or travel. No more dry eyes, noisy and bright troubles. 3D contoured shape design: Unique contoured feature a protective curve with more contour space than another, will not touch your eyelids/eye makeup, no pressure on your eyeballs, and you can open your eyes freely. Help-you-sleep pattern: High quality sponge is featured with deformation and no smell, skin-friendly and soft, which increases people's sleep desire. 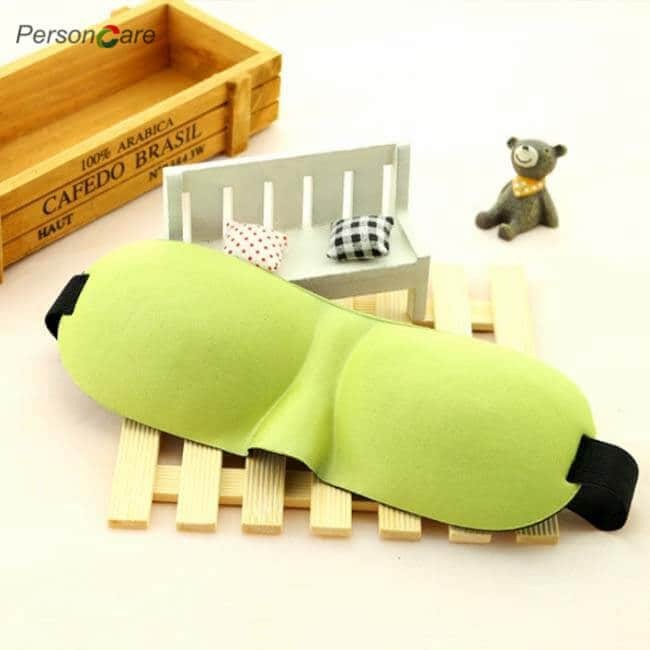 UNINTERRUPTED SLEEP WITH NO PILLS OR SUPPLEMENTS: This Eye mask has many great functions: 1) As a relaxation mask 2)A mask to cover the eyes while applying ointments and lotions to it 3)A eye soother and pillow,The PersonCare sleep mask /EYE mask is ideal for insomnia, migraine headaches and dry-eye sufferers, as the breathable, natural fibers of hypoallergenic silk allow healthy oxygen in, while keeping dry air out. 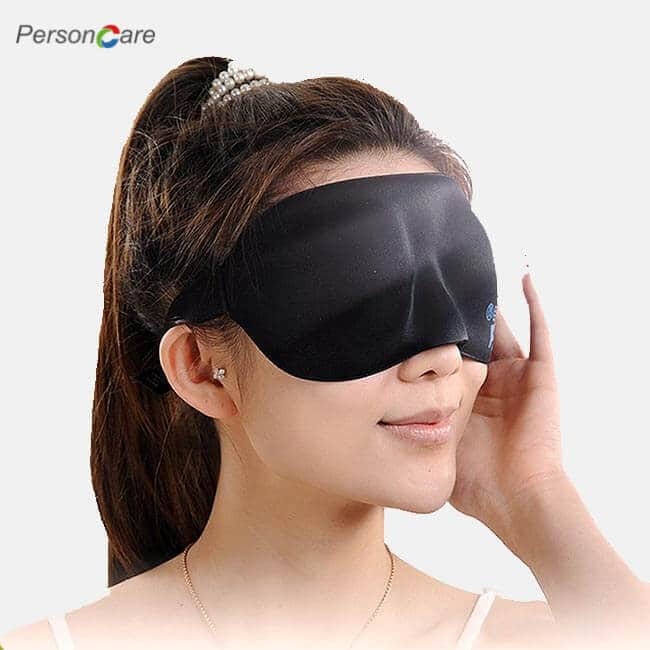 Get this sleep mask /eye mask today and you won’t regret your decision! If You Constantly Toss & Turn & Can’t Sleep At Night, Then We’ve Got The Solution! Are you sick and tired of feeling sick and tired after another sleepless night? Do you need an efficient and healthy way to unwind and relax after a stressful day? Looking for that elusive tranquility and serenity that will help you sleep like an angel? 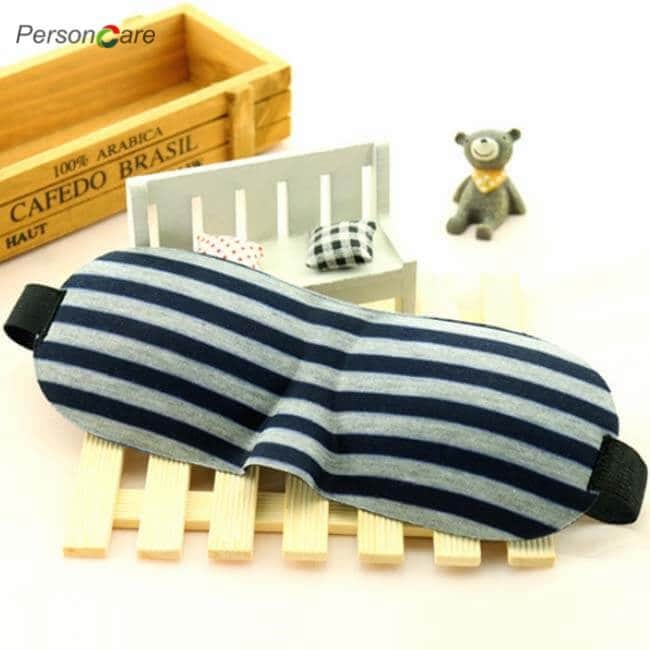 Presenting The Comfortable & 100% Silk Sleeping Mask By PersonCare! Did you know that exposure to light during sleep can interfere with your sleep cycle preventing you from the long and deep night’s rest needed to function at your best? 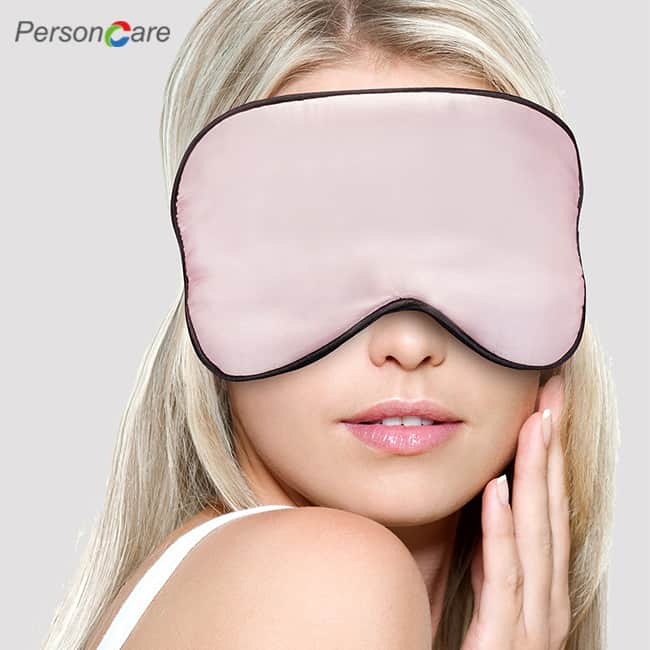 The PersonCare mask completely blocks out all light and visual stimuli so you can nap or sleep soundly anywhere. This super soft eye mask is almost like having your own personal mobile black-out curtains! Wake Up Feeling And Looking Refreshed! 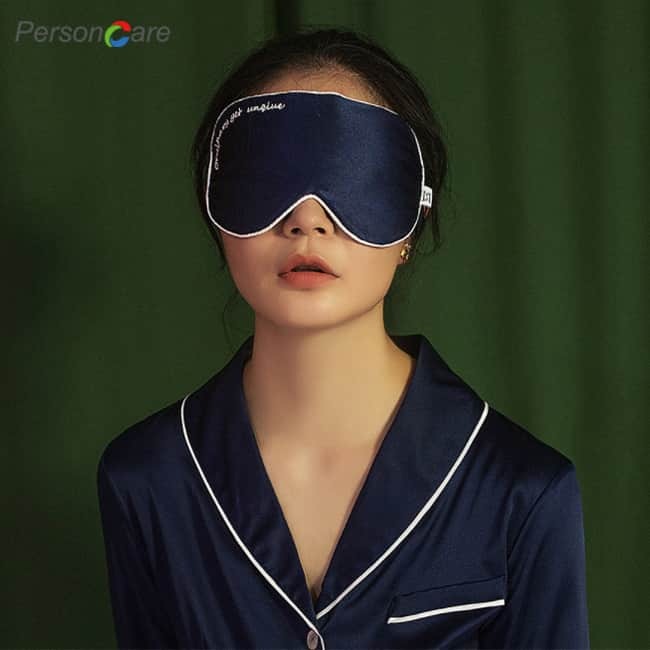 Using advanced ergonomics, the PersonCare sleep mask uniquely contours to your face and eyelids for maximum sleeping comfort. Look and feel well-rested, refreshed, and energetic every single day! Plus, the adjustable head strap will never catch your hair and its top-notch design allows for a relaxing and rejuvenating sleep in every single position you prefer! 1. The super soft silk material makes you feel more restful without putting any pressure to your face. 2. Block unwanted light, improve insomnia and get long REM sleep every night. 3. 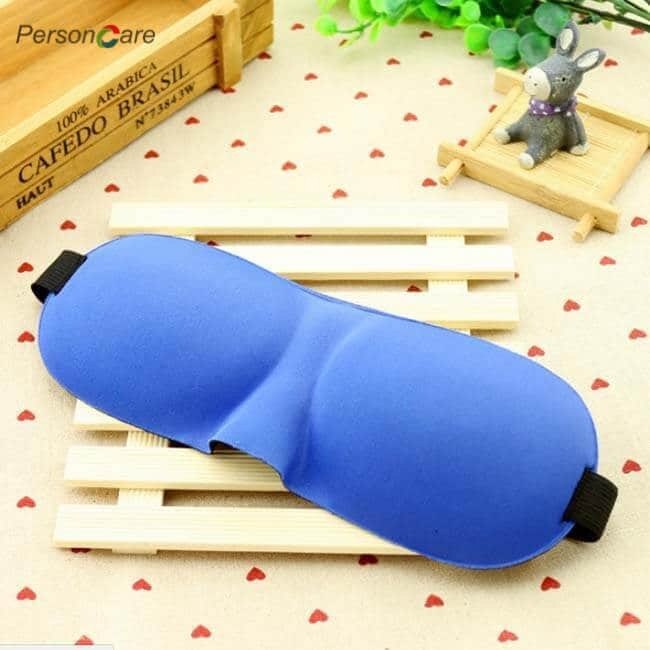 Excellent for travelling, shift workers and sleeping during the day. 4. Ergonomically designed to ensure you wake up with intact makeup. 5.Fully adjustable head strap won’t get tangled in your hair in any sleep position. What Are You Still Waiting For? Click “Add To Cart” Now & Sleep Like A Baby!